Regular Adult Group to Start in Reading! Can you help to set up a similar group in South London? Do support Richard if you would like to have such a facility in South London! We were delighted to visit Brookfields Special School to mark Autism Awareness Week 2018. We had a great day, with train layouts inside and out as the weather was so sunny. Classes came in to see us for 30 minutes each throughout the day, taking over the controls and building layouts. Thanks to everyone for their Skipton votes! Wishing everyone a wonderful Christmas and a peaceful new year! Vote for The Engine Shed to win £500 with Skipton Building Society! The Engine Shed has been shortlisted to win £500 with Skipton Building Society! Please vote for us before 13 October – it takes two seconds to insert your email and that is it! For the last three years we have had a great day out at High Wycombe Model Engineering Society with delicious and free BBQ, cakes and refreshments provided by the local Freemasons – and unlimited rides on their fantastic trains! We have been invited back for another grand day out on Saturday 22 July, 11 am to 2pm. 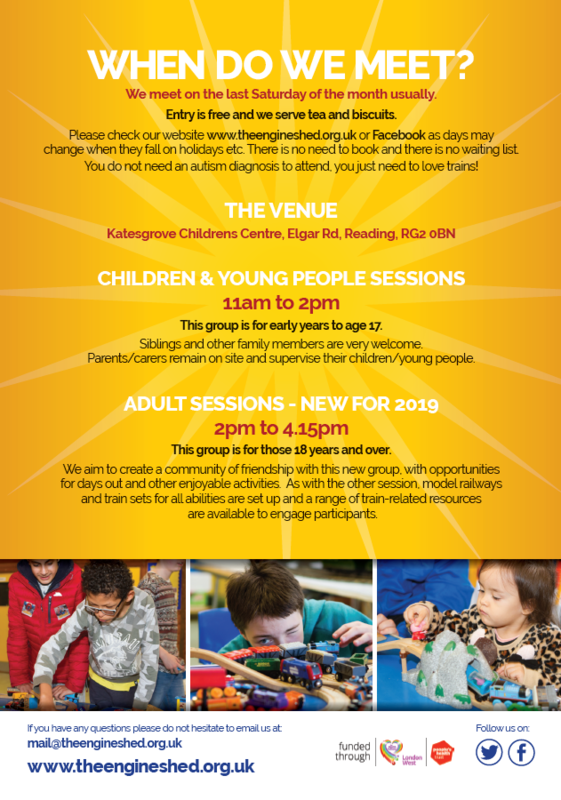 Please email Sarah at reading@theengineshed.org.uk to reserve your places! We will send out directions a few days before. Please consider joining us even for part of the day! Huge Thanks to Reading Lions! Thank you to Reading Lions for the generous donation of £500! We enjoyed participating in the Lion’s Dens selection process and are very grateful for the support of the Lions. The grant will go to support our group which meets at Katesgrove Children’s Centre on the last Saturday of each month. 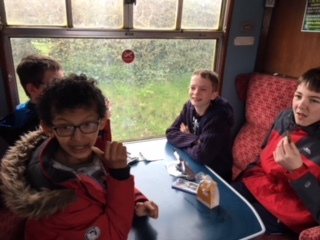 DAY OUT TO DIDCOT RAILWAY CENTRE! 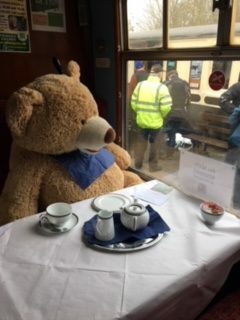 We have been kindly offered a fab day out to Didcot Railway Centre on Saturday 3 September, meeting at 11am, courtesy of the local Freemasons. – Families to make their own way to the Centre. The Centre is on the site of Didcot Railway Station which is 15 mins or so from Reading. If you prefer to drive, there is plenty of pay and display parking. – On arrival, the group will given an optional tour of about 40 mins or so – no pressure to participate if you want to crack on! Bring your own lunch or buy something in the Centre’s café. The Centre is open until 5pm and you can stay as long as you like. 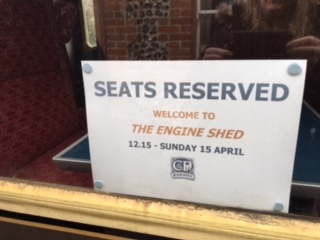 For the last two years we have had a great day out at High Wycombe Model Engineering Society with delicious and free BBQ, cakes and refreshments provided by the local Freemasons – and unlimited rides on their fantastic trains! We have been invited back for another grand day out on Saturday 16 July, 11 am to 2pm. Please email Sarah at reading@theengineshed.org.uk to reserve your places! I will send out directions a few days before.